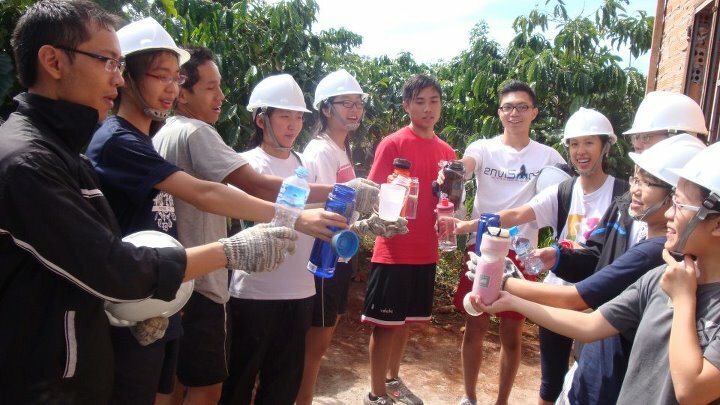 From 11/24/2012 to 7/12/2012, ECO Vietnam Group (EVG) successfully collaborated with the Saint ‘Andrew Junior College (SAJC), Singapore in implementing projects Bee Steady at Gia Bac Commune, Di Linh District, Lam Dong Province. 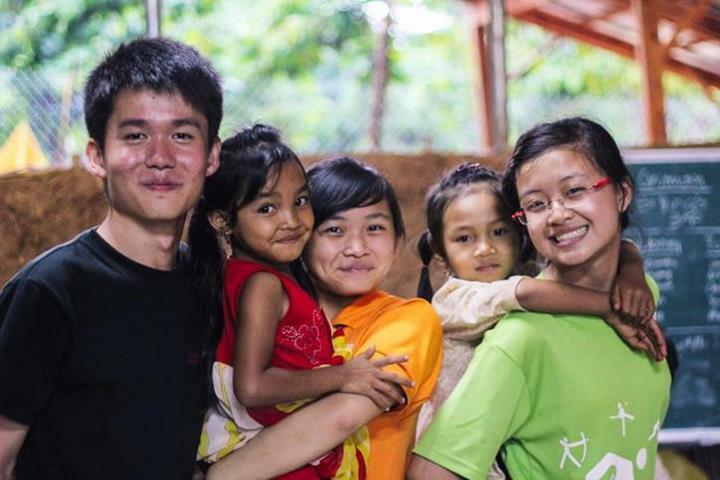 In just two short weeks, with the wholeheartedness and the desire to dedicate youth to community, nearly 30 volunteers (VLT) come from Vietnam and Singapore helped people in the underprivileged highlands. Through those activities, they could accumulate a lot of experience for themselves. 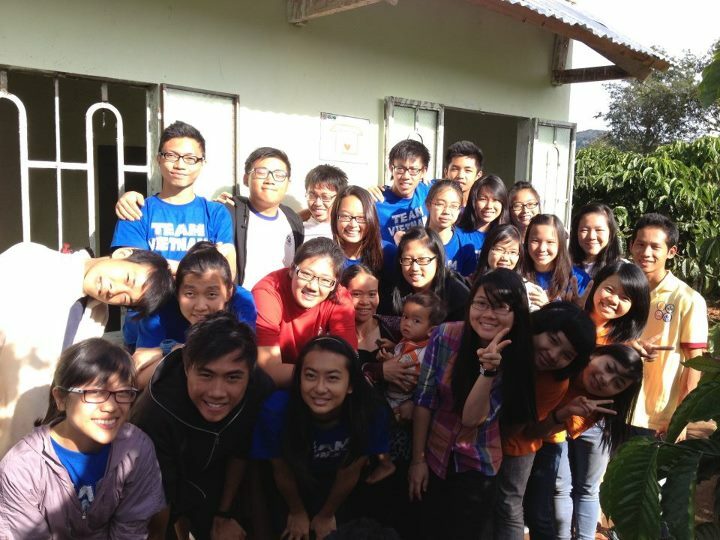 On the morning of 24/11, the Vietnamese volunteers met and got acquainted with the Singaporean volunteers in an atmosphere of fun and friendliness. Carrying out this project, the volunteers had to habituate themselves to a lot of difficulties and strenuousness of a builder like bellying bricks, mixing cement, bricking … In spite of the first moments when they were still like a fish out of water, all volunteers worked very hard and did not afraid of the serve weather conditions to complete ECO Love House. Let’s have a break ! 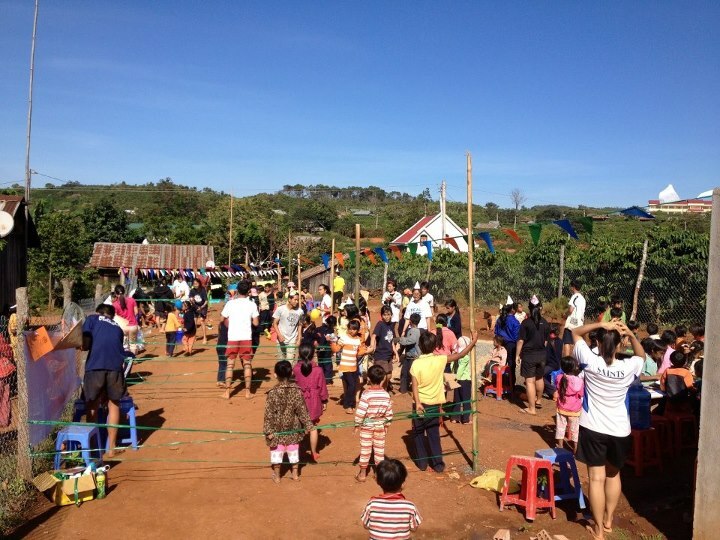 Also in that series of activities, the volunteers had the opportunity to get closer to the children of the poor Gia Bac through a variety of activities such as teaching to widen children’s knowledge here or holding the event at the Library to give the children a chance to play together. 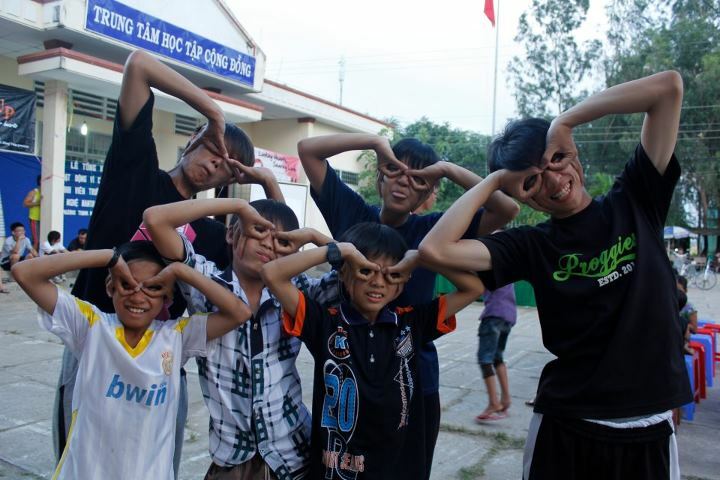 Summing up the trip, with the heart of youth and the enthusiasm for dedicating to the community, the volunteers left Gia Bac the work doing with the affection. Although those contributions were small, it has took part in building and developing sustainably this area. Although everybody parted the Gia Bac highlands, they will never forget the beautiful crystallization from friendship, from the memories having in this trip. 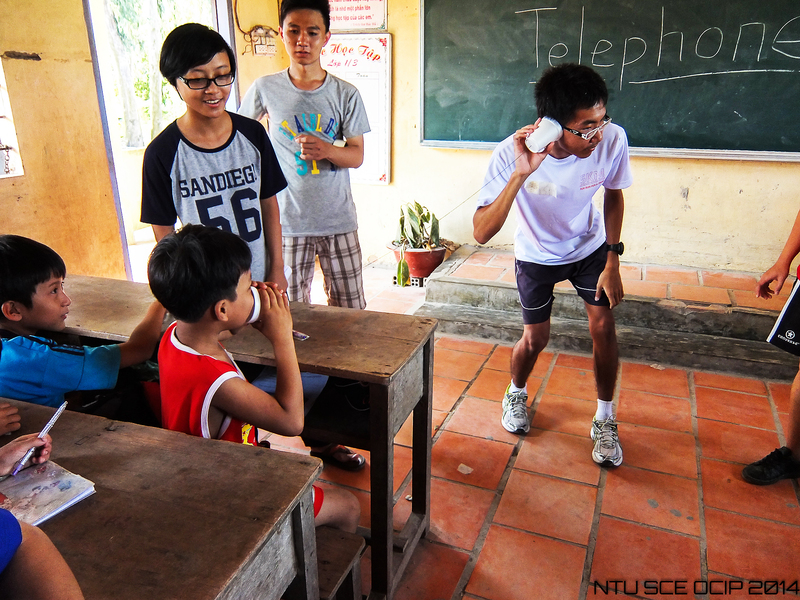 The time in Gia Bac is short but what the volunteers did will forever exist in Gia Bac. Someone said that “Time is not measured by the period that you live but by the experience that you went through.” So please come and enrich your time with EVG! 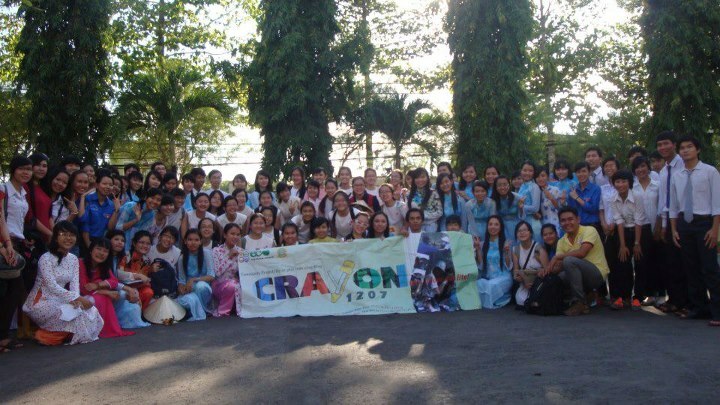 From 17/11 to 29/112012, ECO Vietnam Group (EVG) School was in collaboration with Singapore’s Nanyang Girl’s High School to implement the project “Crayon” at Phuong Thinh commune, Cao Lanh district, Dong Thap province. This trip has brought the community the support by many practical and meaningful works, which lead to the a better life of the resident in this area. 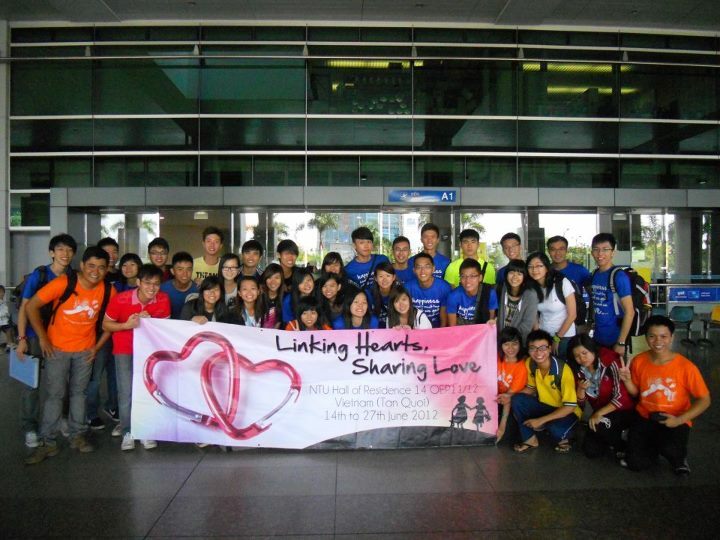 On 11.17.2012, the reception and meet was in the friendly atmosphere, between Vietnamese and Singaporean volunteers at Tan Son Nhat airport. 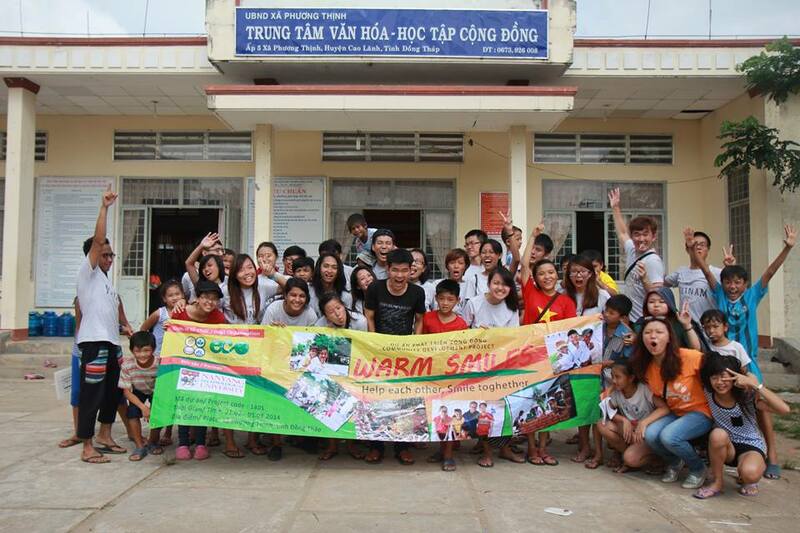 On the morning of 18/11/2012, the volunteers had a cordial exchange with the students of Dong Thap University before starting this project at Phuong Thinh. 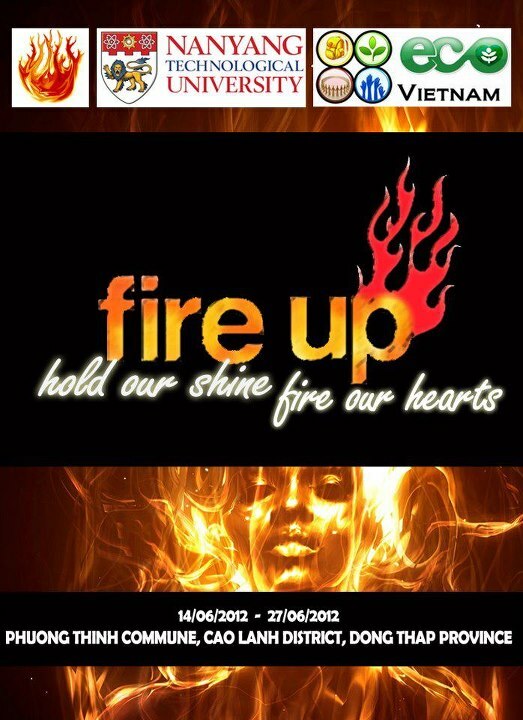 When the project started, with hearts filled with passion, enthusiasm, the volunteers worked very hard. 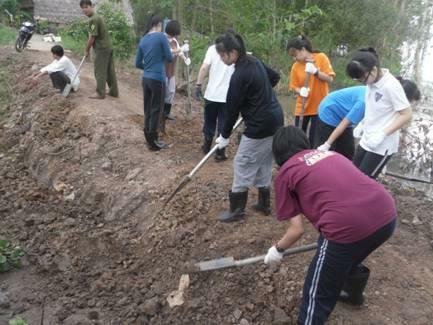 In spite of facing with the severe weather’s condition or doing the hard work such as leveling of the road, scattered rocks, mixed lake, build a house …, the volunteers did not flinch, give up. 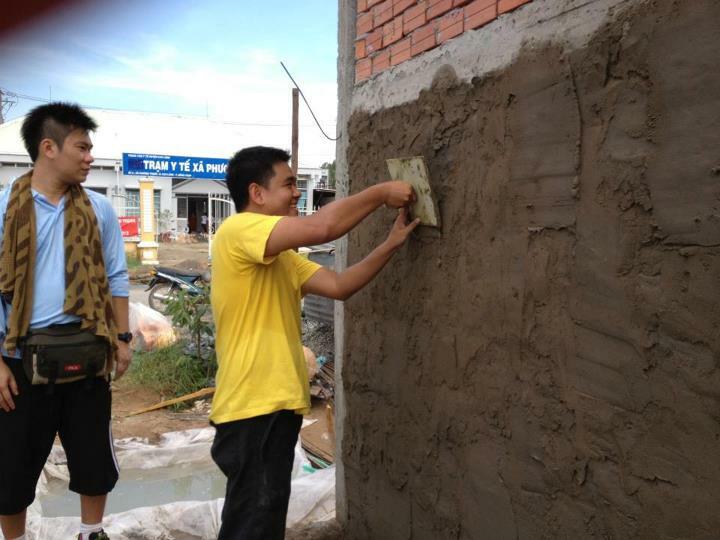 Besides paving stones serving the vehicles and building ECO Love House, the volunteers also planted the trees, taught English to students in elementary school … It was just little things but it was the motivation for the children go to school here. 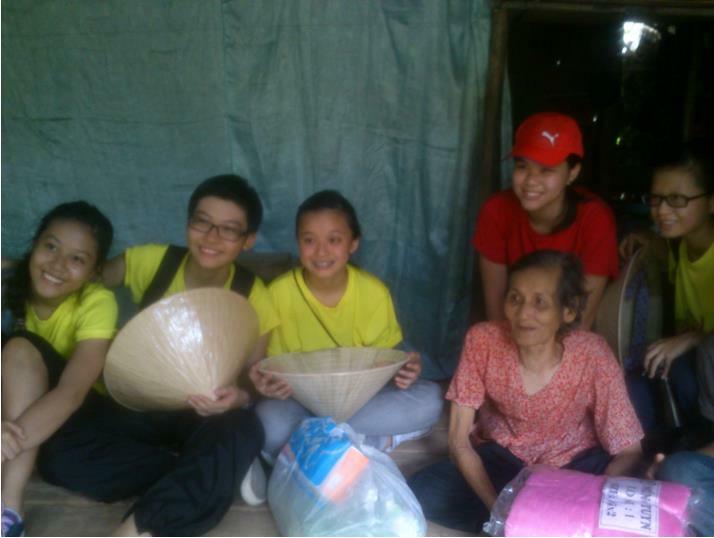 During this trip, the volunteers visited and gave 3 gifts for the poor in the village. That make the poor believe and hope for a better life, besides, volunteers also understood and sympathized with the one who have an unfortunate life. In addition to the hours of hard working, the volunteers accumulated for themselves experience, knowledge and mutual understanding, how to work with each other in the team from the exchange. 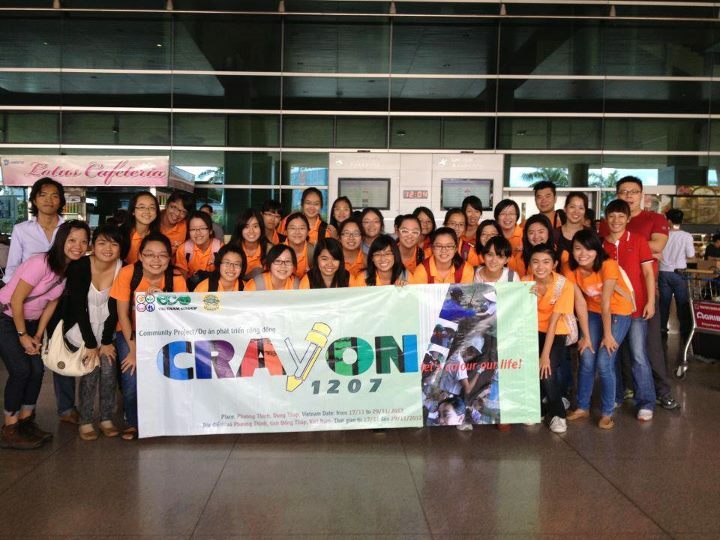 “Crayon” in the spirit of “Going to serve, go to school and go to change” even if was just only for a 2 week period, but what you had done volunteer will forever etched in Phuong Thinh people’s mind. This trip was really shot but it leave in volunteers the memorable values, experiences, lessons for the rest of their life. 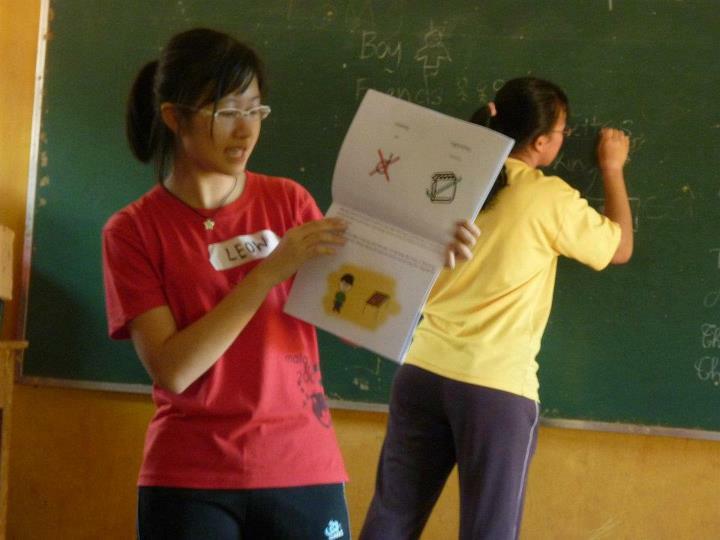 Starting the project in Gina Bac highlands this summer, from 26/05/2012 to 02/06/2012, more than 25 volunteers (volunteers) of EVG with the Dunman High School, Singapore succesfully completed a trip in the project “Fly up 1” in Gia Bac commune, Di Linh district, Lam Dong province. With many meaningful activities during the trip, the young people did not only help people in this underprivileged highland, but also study and accumulated precious experience for their life. 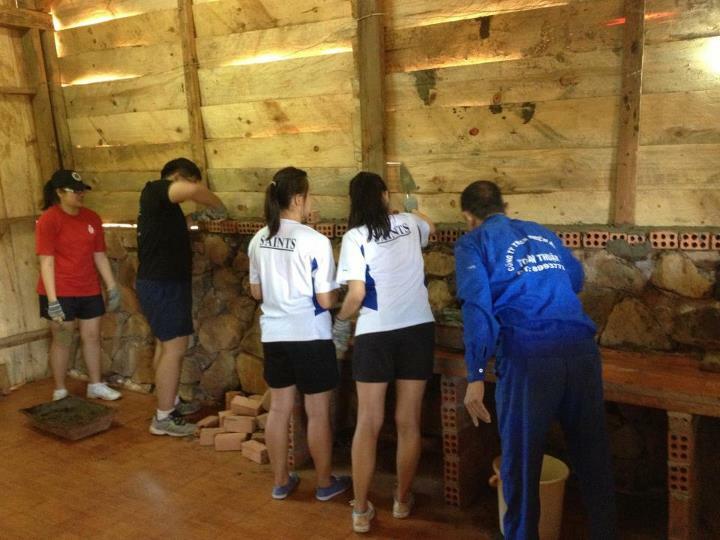 Coming to “Fly up 1” this time, the volunteers had the opportunity to get closer to the children of the poor Gia Bac. 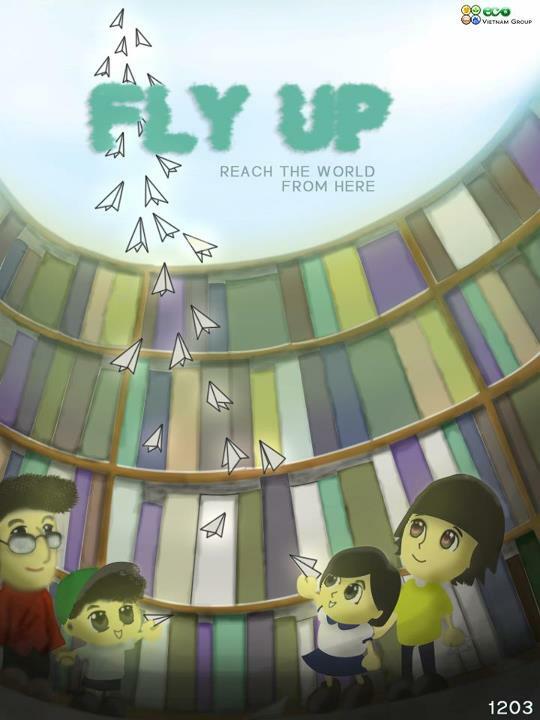 From the operation of the library, everyone could learn, have fun and more link with each other. The lively English class of the volunteers. 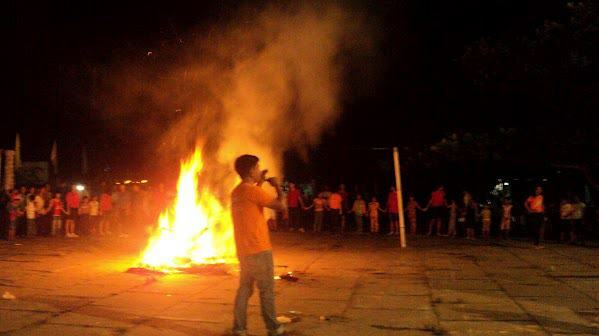 The funny performances of the volunteers in the chrildren’s festival. 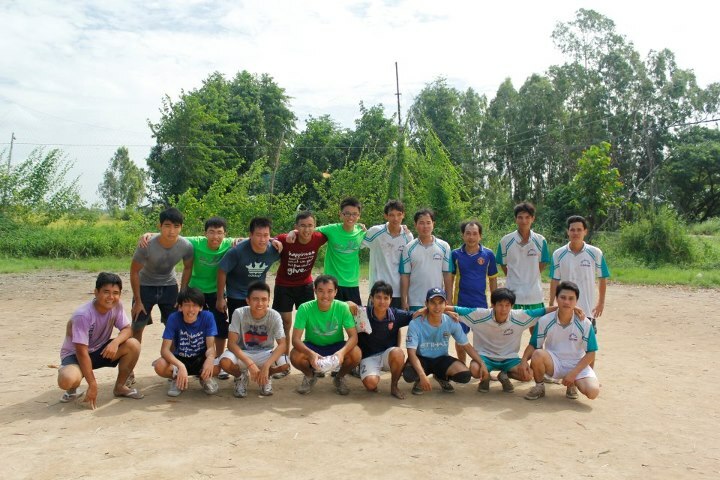 After those activities, Sau những hoạt động như thế, everybody became fond of each other. Besides, in this project, project “Be A Guardian” was implemented in parallel. With the desire to help the students get over the adversity, go on learning, the volunteers together looked for and helped the children in this area. In the end of this project, the participants had a lot of emotion. 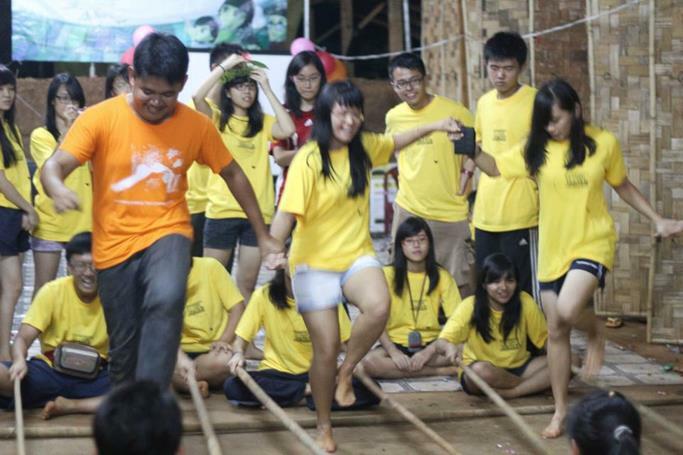 The volunteer trip make people become tiny, but it was that trip which make us grow up. Let’s be together with EVG to experience that feelings if you have never. 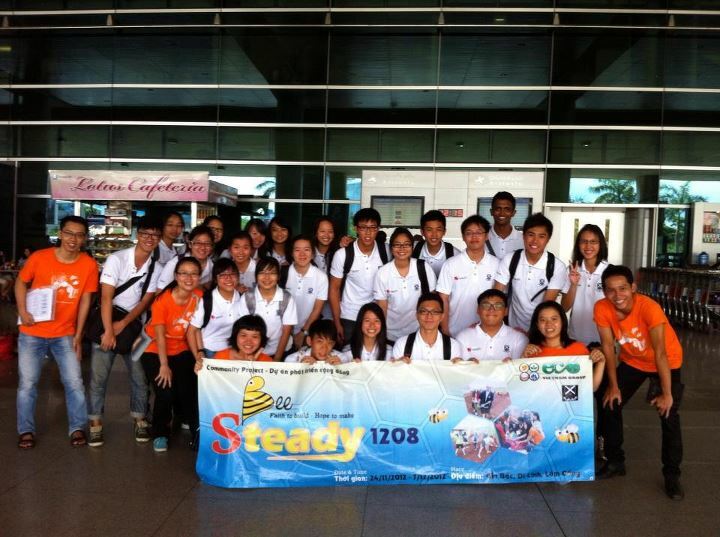 This project is a start of a new collaboration between EVG and Paya Lebar Methodist High School from Singapore. 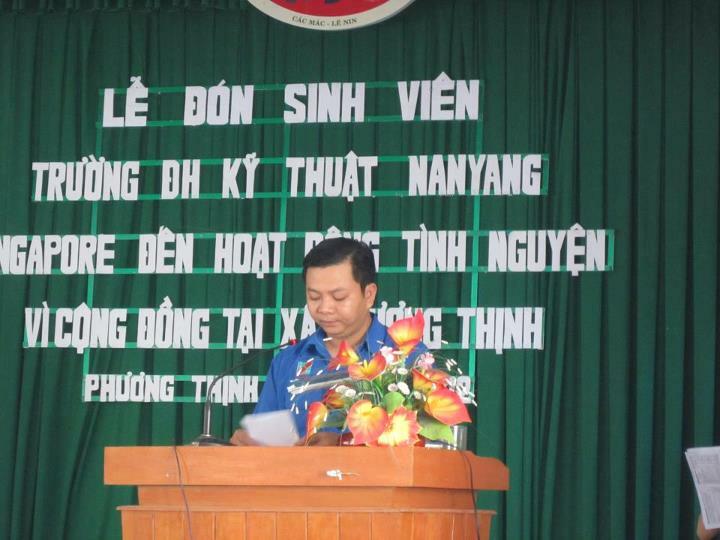 They had executed many educational and cultural activities in Phuong Thinh, Cao Lanh, Dong Thap before. Through this project, a new cooperation is formed and EVG is able to extend its influence in Singapore. 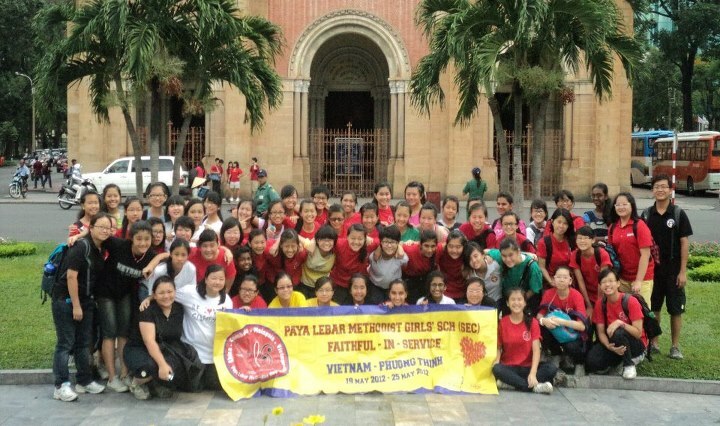 From 19/5/2012 to 25/5/2012, project SHINE hosted by ECO Vietnam Group (EVG) in cooperation with Paya Lebar Methodist Girls High School, Singapore was excitedly conducted in Phương Thịnh commune, Cao Lãnh, Đồng Tháp District, Vietnam with the mission to help and improve life condition in Phuong Thinh commune. 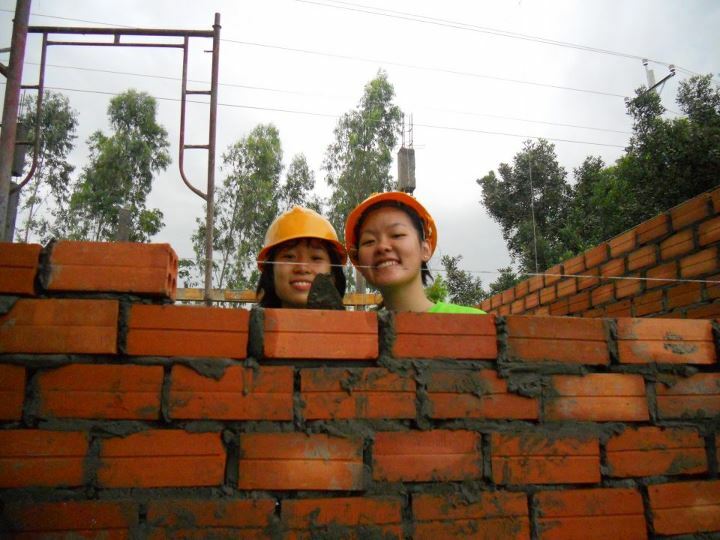 In 7 days, with much enthusiastic, determination and the thrust to build and develop the community in Phuong Thinh, almost 70 volunteers from EVG and Paya Lebar High School had did so many meaningful and genuine benefit for the lives in Phuong Thinh. Namely: visiting poor households, teaching English to children, fixing 3 classrooms, making 1km road. 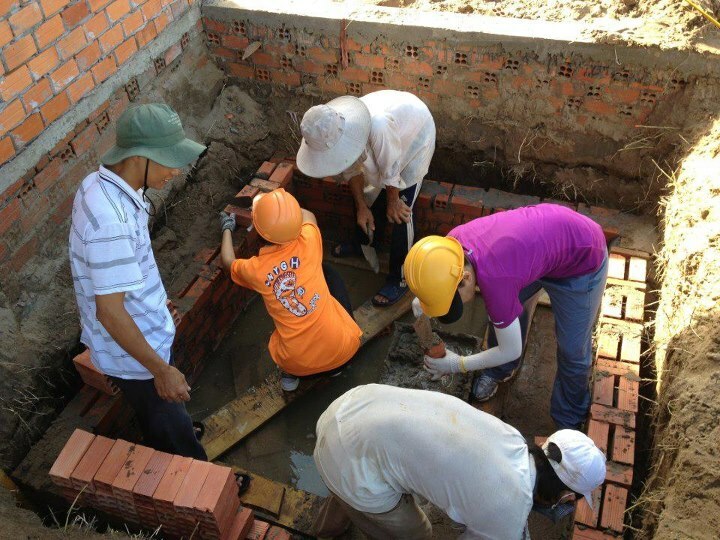 In the first day in this commune, the volunteers immediately threw themselves in the hard-working routine of the project. They, first, came and visited poor households in the area. 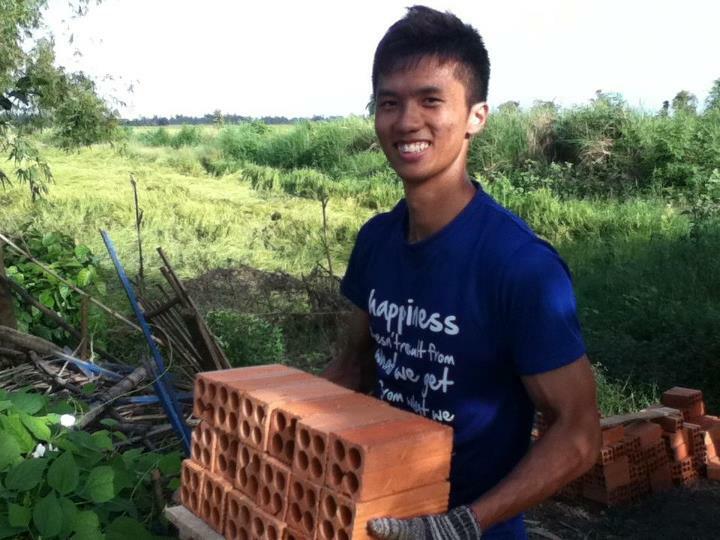 In which, not only did they gave away in need facilities to the families but they also built a loving connection with the people in Phuong Thinh – those they would help during their stay. 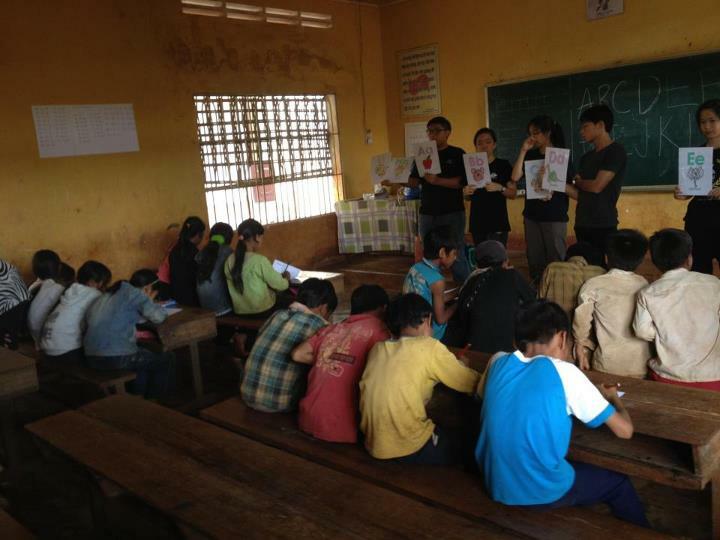 In the next days, the volunteers opened several Engligh classes for the children which gave a good impression to Phuong Thinh’s people, especially, the young ones. With active and friendly education methods, the classed had attracted many young students to join enthusiastically. Also in Project SHINE, they had fixed and re-furnished 3 in order to create a comfortable and safe study environment for the students. Troubles were inevitable due to lack of experiences and other objective factors, yet, our volunteer were forbearing and determine to complete their jobs as best as possible. 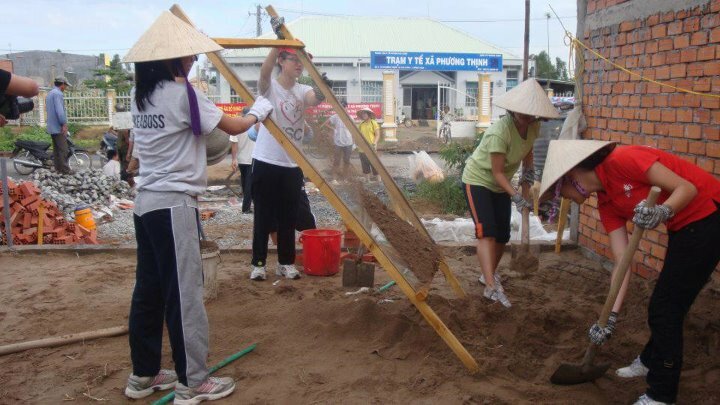 This spirit was even higher and stronger when the volunteers making the road for Phuong Thinh commune. 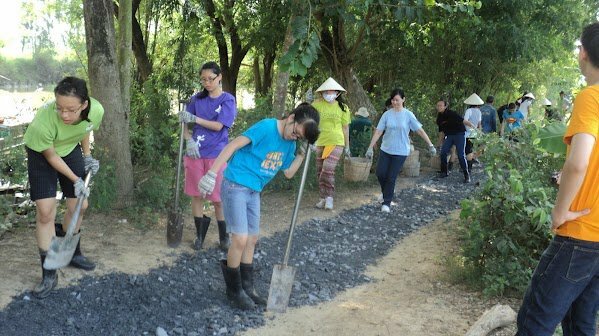 Under the burning summer sun, the girls from trường Paya Lebar High School together with volunteers form EVG had completed 1km road with the hope that there would be no more accident in the old slippery road during monsoon seasons. Putting all their effort in completing the road. 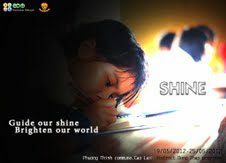 Beside all the daily works during the project, the volunteers of project Shine also organized a culture exchange night with Phuong Thinh commune. Songs were sang in harmorny of new friendship and food was shared with family love .This marked the started of a long term and precious friendship between EVG volunteers and Singaporean volunteers as well as the lovely people in Phuong Thinh commune, the friendship that they will cheerish for their whole lives. 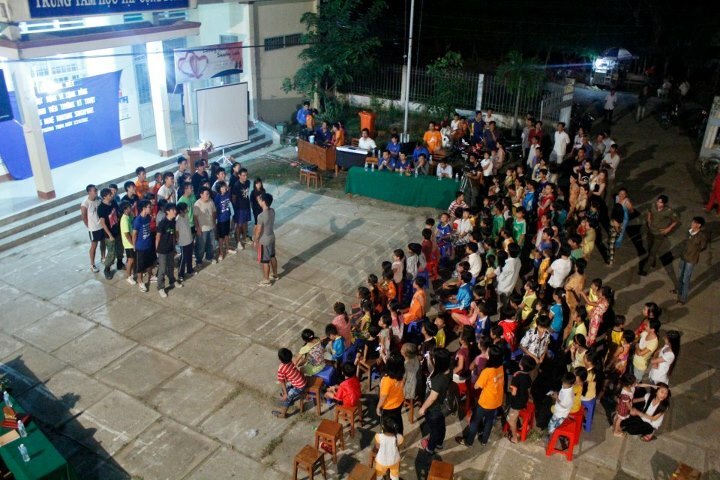 Everyone is having fun in the warm of the fire camp – on one summer night. The last day finally came, saying goodbye to Phuong Thinh commune with the promise to come back , our volunteers headed to Cu Chi Tunnel and several famous spots in Ho Chi Minh City – The Notre Dame Church, War remnant museum and Ben Thanh Market. Thanked to which, we had a chance to introduce Vietnamese history and culture to our Singaporean friends. Closing one week full of voluntarism spirit and hard works, there were time of tiredness and dispiritedness; however, our volunteers with their loving heart, undefeatable determination had portrayed the much inspirational image of a true volunteer. It is the unwavering, energetic, forbearing and compassionate spirit. Departed from the project, what left in each volunteer’s shoulder was not just a backpack but also the priceless lessons and friendships they gained from this experience, which , they will carry for the rest of their lives.